Thinking of working the search engine algorithms to your advantage? Understand your risk-tolerance first. If your domain is important and valuable, you&rsquo;ll definitely want to tread lightly and steer clear of these techniques. Photocredit: South Park Comedy Central What is SEO? 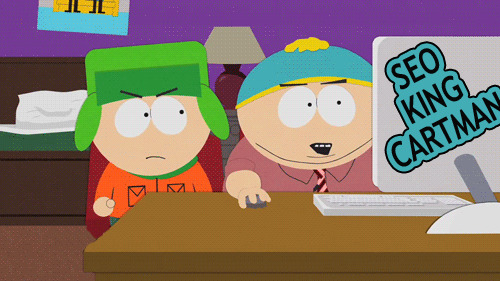 SEO is more formally known as &ldquo;search engine optimization&rdquo;, or in Cartman&rsquo;s terms, &ldquo;a thing that helps you become #1 in Google and beat everyone when someone searches for your products or services&rdquo;. Although there are many different strategies to SEO, there are some basic strategies that the majority of us SEO-fanatics use that can be implemented with little or no experience in web design. They&rsquo;re so easy, even Eric Cartman can do them! 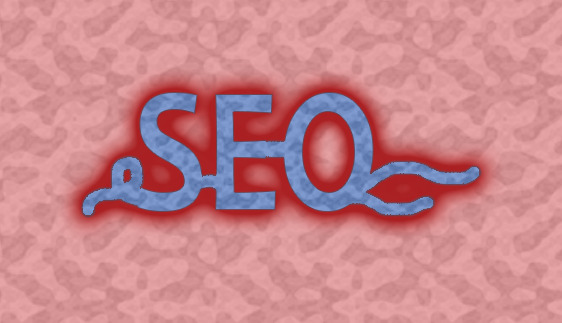 Not so long ago SEO was just another vague acronym. A term you occasionally heard when a group of rowdy marketing professionals were hanging out at the table next to you. But SEO (search engine optimization) has quickly become one of those indispensable tools that every business needs to know about and implement in order to keep pace with their competition. In short, SEO is a process by which your website is &ldquo;optimized&rdquo;, making it both accessible and relevant for search engines like Google. This is extremely important, because this is how you increase your keyword rankings. Think of it like a retail store. If a customer (search engine) comes into a retail store (website) and everything is neatly arranged and easy to find then you have a much better chance of making a sale (ranking for a keyword). But if everything is messy and hard to identify then chances are that customer (search engine) will leave without buying anything (crediting your site for content). By creating content that enhances a user&rsquo;s experience on your site (as well as making it more search engine friendly), your site will place higher in the results, more people will visit it, and you&rsquo;ll make more money. Search engines like Google have taken over the advertising landscape, becoming the most popular method people use as they search for businesses. If your customers aren&rsquo;t finding you then it&rsquo;s pretty much a guarantee they&rsquo;re finding your competition. (And what a great gift for your competitors! I&rsquo;m sure they&rsquo;ll send you a fruit basket as a thank you.) It&rsquo;s no longer enough just to have a website; people have to be able to find that website, and, just as importantly, have that website suggested to them through means of search engine results. In this era of fast information and instant gratification customers, even loyal ones, will not put forth much effort to find you if you aren&rsquo;t meeting them halfway. Search engines are the advertising transportation of the digital age and Jet Digital Marketing is the vehicle. So stow your luggage in the overhead compartment, take a seat and let&rsquo;s talk about how we make your business more successful by the time we land.